Appalachian Mountain Club News: Speak Up for Clean Air Today! Speak Up for Clean Air Today! 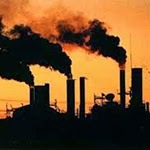 The Clean Air Act works! AMC’s scientists have documented firsthand the success of the Clean Air Act’s acid rain program and the ozone health standards, which have resulted in cleaner air, cleaner water, and improved forest health in the northern Appalachians. The Clean Air Act is a proven tool that can help us breathe easier. And EPA clean air programs have improved mountain air for our lungs and environment while our economy grew. The dire predictions of economic hardship were not realized; in fact Clean Air Act programs helped expand the economy and create new jobs by driving innovation and new technologies. Now it is time to take on climate change with a pivotal draft proposal from the Environmental Protection Agency (EPA) to reduce carbon emissions from existing power plants. AMC’s own research shows that over the past 80 years, the White Mountains have warmed and snow melt timing in Pinkham Notch is trending about two weeks earlier today than in the 1930s. Upper elevation forests and alpine plants of the Northeast summits survived the last natural warming period, but with human-caused climate change we are headed into uncharted waters. Now is your opportunity to weigh in on this critical new EPA draft rule. Now is our opportunity to move that mountain that will exemplify US leadership on climate change. And addressing existing power plant emissions will also help clean up our air by reducing smog and soot, avoiding over 140,000 asthma attacks in our kids. Please let the EPA know you want swift action and deep reductions in carbon pollution from existing power plants. Visit AMC’s Action Center for more information on our current initiatives.